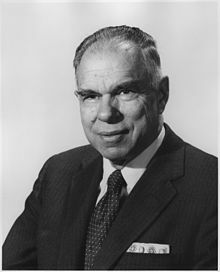 Glenn Seaborg was initially part of the accelerator group but ended up as the leader of the isotope development team. Much of his efforts were devoted to the development of radiochemistry methods and tests in metabolic studies. John Lawrence led the Medical efforts and Joseph Hamilton led the biological applications team with most studies conducted in rodents. Early tests of therapy were conducted by John Lawrence Berkeley in 1936(37) using neutrons from the 37” cyclotron. In addition, 32P was used in early treatments of patients with leukemia and Polycythemia Vera, a malignant disease of the red blood cells.